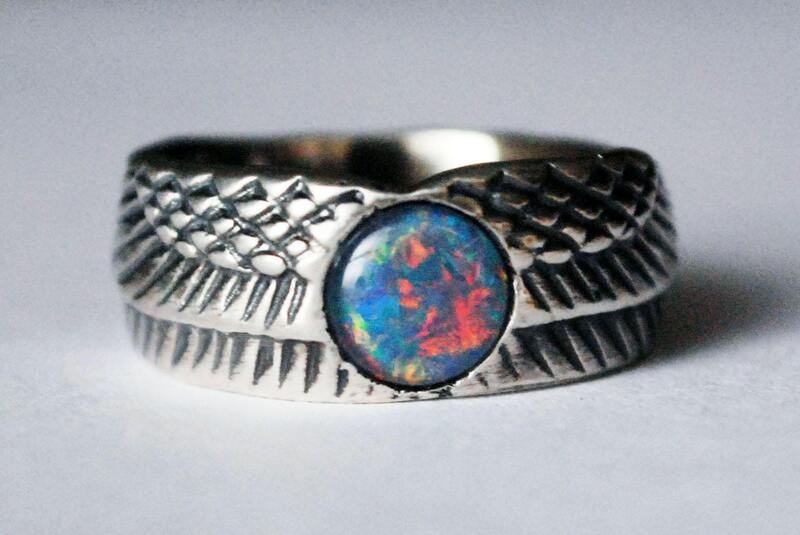 A round Opal triplet with red, blue and yellow fire is nestled into Sterling Silver Wings forming the band of this magickal ring. 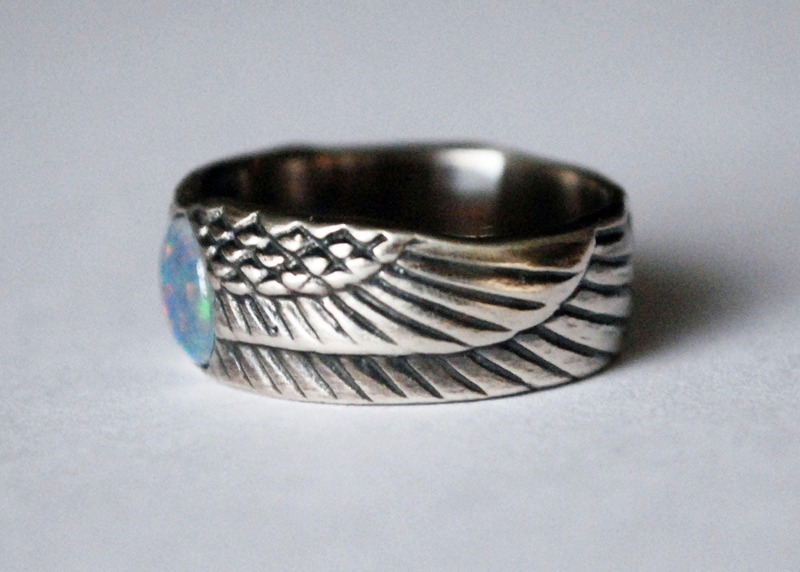 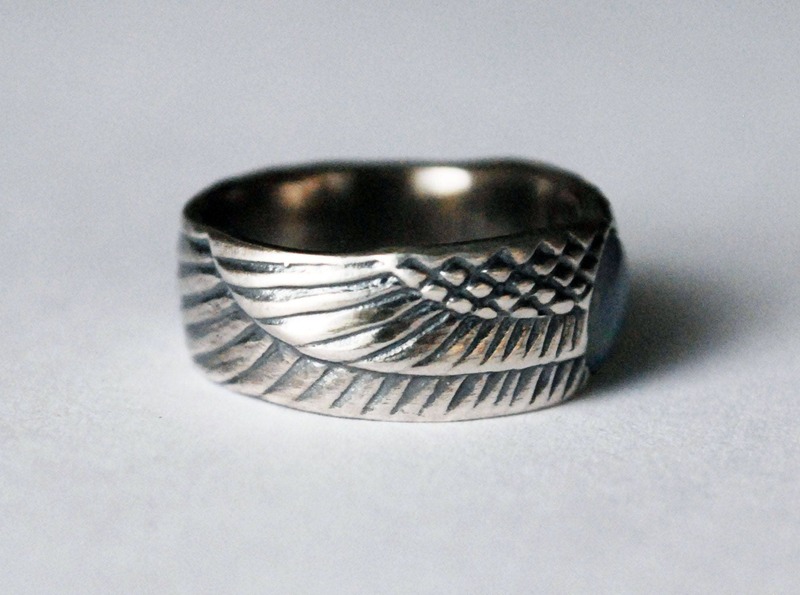 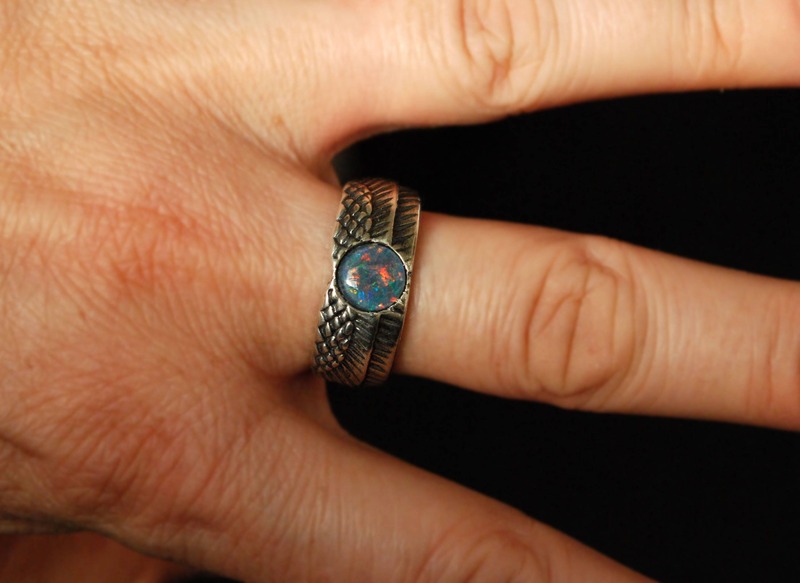 Part of a series of winged disk and winged egg rings, this one is a US size 8. 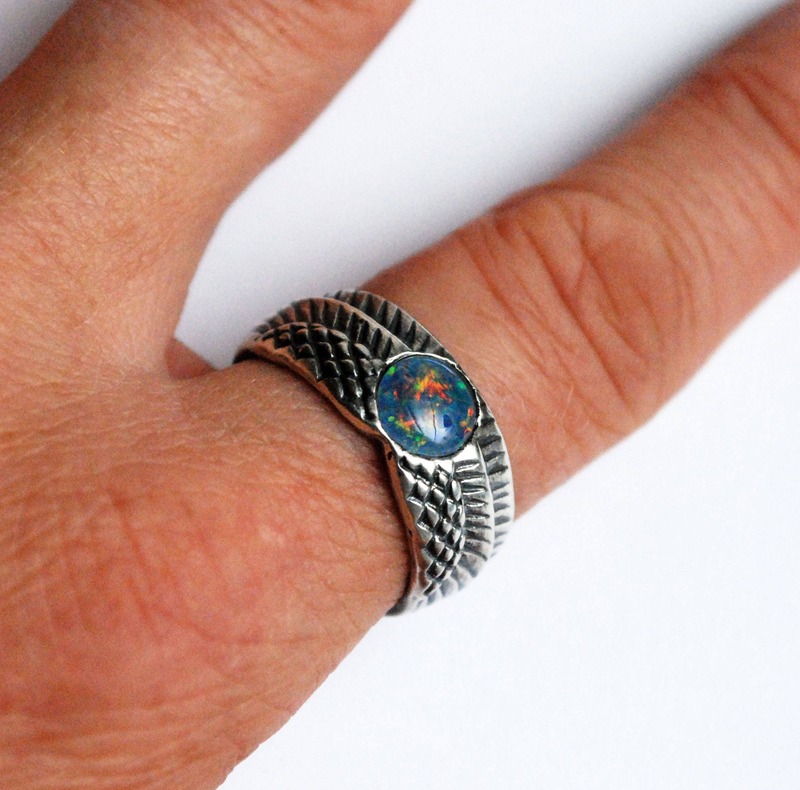 Opal measures approximately 7mm in diameter. 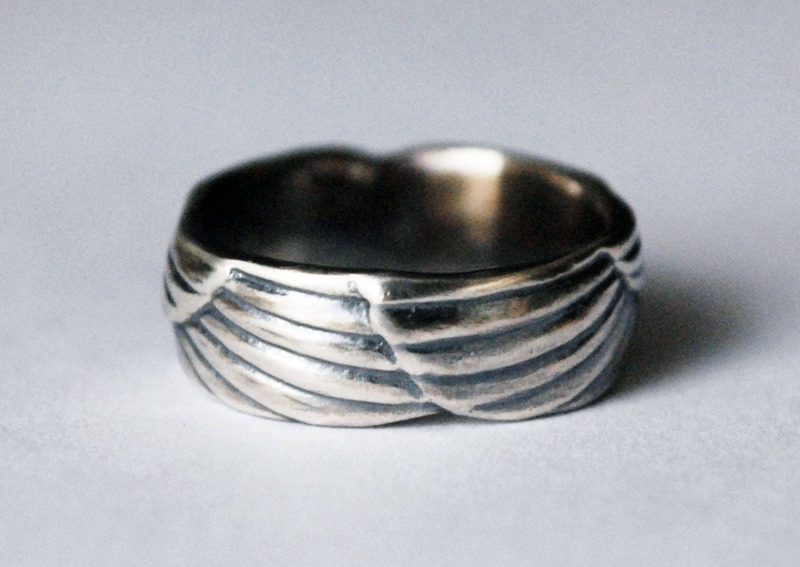 Band measures approximately 9mm at front of ring and 8mm at back. 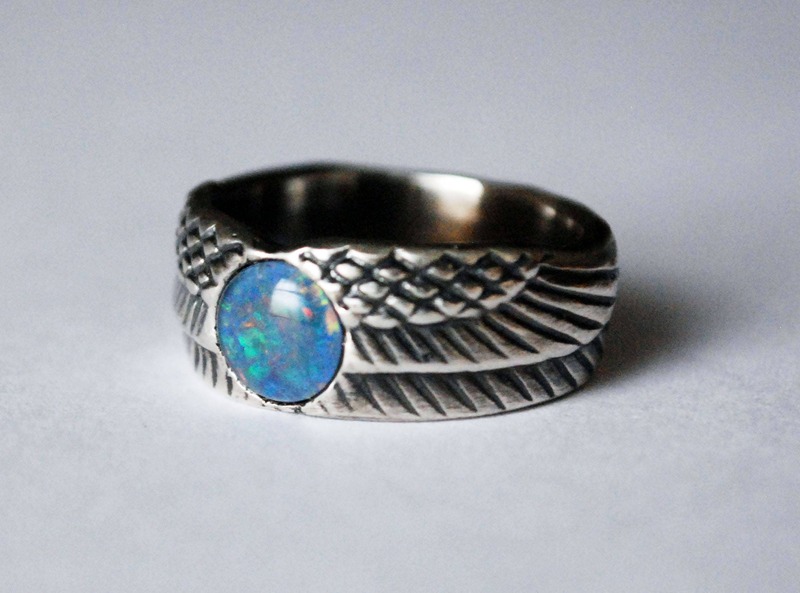 Opal triplets may be wiped with a damp soft cloth and mild detergent, but should never be soaked or immersed in water or cleaning solution.